Chansey is such a weirdo. It's essentially a big egg with weird balding man hair on the side, and it also has an egg in its pouch, despite not being a kangaroo. It's pretty hideous actually, when you think about it. But it also has far and away the best HP in the game. And anytime someone is the best at something, it's going to be high up on some kind of ranking. In this case, Chansey is #18 on a list of 151. Not too shabby. Granted, the Attack and Defense are TERRIBLE (base power of 5), and Speed is pretty bad, too. 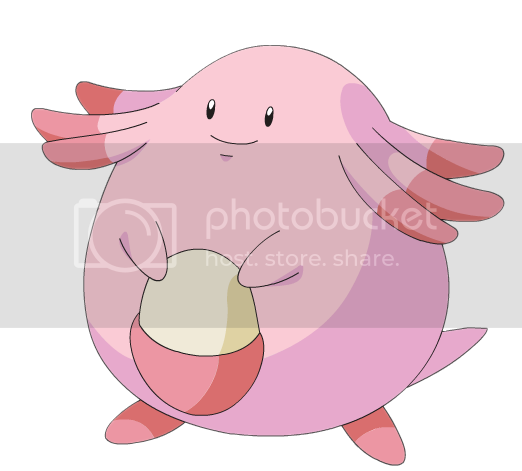 Special is solid, though, at 105 base power, and Chansey learns an uncomfortably large amount of moves. Even normally it learns a lot of Normal and the occasional Psychic-type move, but TM-wise, it can pick up 34 of the 50 TMs. Special Sweeper is the way to go with Chanseether. My favorite includes Psychic, Thunder Wave, Thunderbolt, and Blizzard. Alternatively, you could toss Counter on there to fight against Fighting types. Chansey normally can take a hit from a fighter (though it'll be a lot of damage) and Counter will do double the damage against the attacker. That's pretty cool, but it's useless against 13 of 15 move types--Counter only works if the original attack was Fighting or Normal. Unless you know you're fighting a...Fighting type, I'd stick to the special set above. But what do I know? I'm just some jerk ranking Pokemon from a game that's like 17 years old.